Bryan Cranston is not my favorite actor. When Breaking Bad ended in 2013, he became a hot commodity due to the success of that show, and give the guy credit for helping to launch the modern era of movie-quality TV. But he’s still a television caliber actor, despite the fact that he’s moved away from that, despite the fact that Hollywood wants him as its star right now. Godzilla, Trumbo, The Infiltrator, Why Him; Cranston is riding the wave, and more power to him, because I thing the swells will calm sooner rather than later. In the meantime, he actually delivers his best performance to date, with the help of an extremely clever filmmaker in Robin Swicord, someone who’s been around forever but has just made her permanent mark. Howard Wakefield comes home late one evening and can’t quite seem to walk in his front door. His family is waiting; his beautiful wife, his teenage twin daughters. But the longer Howard waits, the harder it is to take the first step back into his regular, unhappy existence. He stays in the attic above the garage for a bit before facing the world, waking to find that he’d been out there for hours. Well, easier to let them all leave before making an entrance, less questions that way, but there always seems to be a reason to stay put, to hide behind the attic window, to watch the events outside instead of joining the chaos. So Howard begins what will be a complete life change, spying on his old home from above, hoping no one will find him, scrounging for food from garbage cans, and pondering his own existence one lonely day at a time. That’s the gist of the movie; a guy decides to live in his attic instead of in his house and doesn’t tell anyone, letting his own wife believe that he’s either dead or has run off. Obviously, there’s more to the meaning of the story than that, but there’s really not more to the plot, what you see is what you get. The brilliance of the movie comes in the driving force behind Howard’s actions, the reasons for his disconnect with his average, wealthy, American life. He changes, he leaves the old self behind, all while watching his kids move on like he was never important in the first place. Tow Sawyer peeked in on his own funeral, and Howard Wakefield does the same in a very unique and fascinating way. Swicord both wrote and directed this film, and she hit it out of the park. 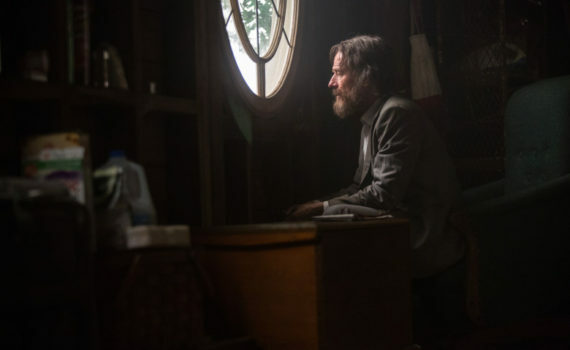 The use of narration keeps us inside Howard’s mind, while also taking the pressure off of Cranston, and the way we mostly stay away from the wife, played by Jennifer Garner, is genius as well, partly because we get a one-sided story and party because, well, she isn’t my favorite. Wakefield is a very original film with a ton to say in a short amount of time, something that leaves you thinking, which is always a positive in my book.